Rev. 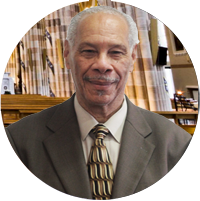 Sule Prince earned his Bachelors of Religious Education (BRE) at Heritage College & Seminary and his Masters of Theological Studies (MTS) at Toronto Baptist Seminary. Rev. Sule Prince is a man with a great passion for the word of God and a genuine love for people. He answered the Divine call to preaching at the age of sixteen and has been ministering the gospel since. 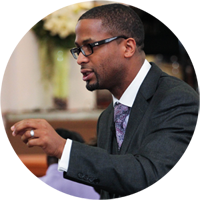 He is currently the Senior Pastor of Oakwood Wesleyan Church and resides in Toronto with his wife and children. Lisle has attended Oakwood since the early 70s and was on the Local Board of Administration for over 15 years. He has worked with the youth and helped with Sunday school and has a passion that all people, especially the youth, will become christians. He also loves doing bible studies. The Bible: The Bible is the highest source of written authority for God’s plan for His people; it reveals how to live out that plan, individually and corporately. Beliefs, practices, priorities are to be anchored in clear biblical teachings. Christlikeness: Jesus Christ is the defining feature of God’s will for all humanty. He gives the highest and most practical example for holy living or godliness. Christ also strengthens us to pursue integrity, excellence, faith, hope, and love. Local Church Centered: Our denomination exists to serve local congregations. It strives to serve and strengthen congregations as the most strategic points for evangelism and discipleship. Servant Leadership: We respect the leadership placed over us. The authority and effectiveness of spiritual leadership is not primarily bestowed, but earned as leaders with loving and willing hearts serve God and mankind gladly! We desire to be leaders by serving.